A coalition of rightwing parties will rule Spain's most populous region, Andalusia, for the first time in 36 years under a deal with the far right. Wednesday's deal between the PP and Vox came amid continuing indignation over Vox's policies, with nearly 100 feminist organisations signing a manifesto pledging opposition to the far right's stance on gender equality and violence against women. Actually, there were two deals: Citizens agreed to rule in tandem with the PP, and the PP agreed common ground with Vox in return for that party's votes in the regional parliament. 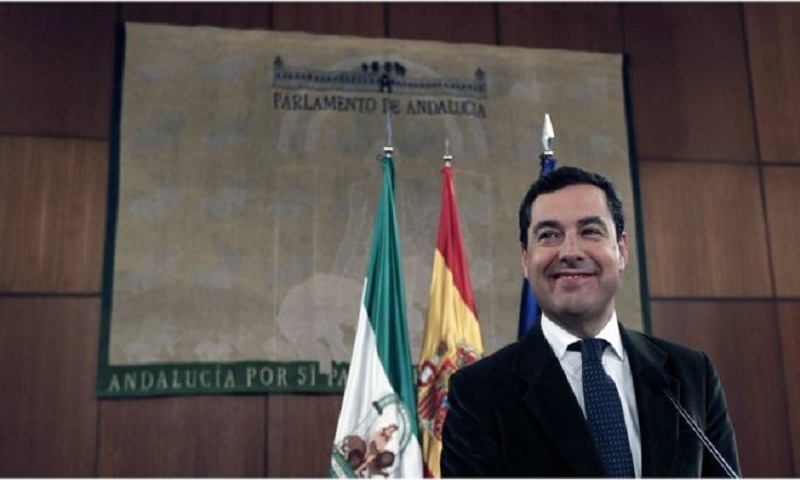 The PP's Juanma Moreno will lead the new government. Vox politicians have often spoken out against what they call "extreme" or "militant" feminism, and argue that domestic violence laws favour women. The president of Spain's federation of Progressive Women, Yolanda Besteiro, pledged its members would take "not one step back". "Women's rights are non-negotiable," she said, promising a "continuous mobilisation".